Have you ever wanted to experience Scuba Diving but never had the time it takes to get fully certified? We can have you breathing underwater in just a few hours with The PADI® Discover Scuba Diving program. You will learn the basic safety guidelines and skills needed to dive under the direct supervision of a PADI Professional. 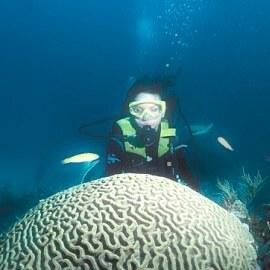 While not a scuba certification course, it is a quick and easy introduction to what it takes to explore Belize underwater. Download and fill out this mandatory Medical Questionnaire, which will assess if you meet the minimum physical requirements to safely participate in this sport. 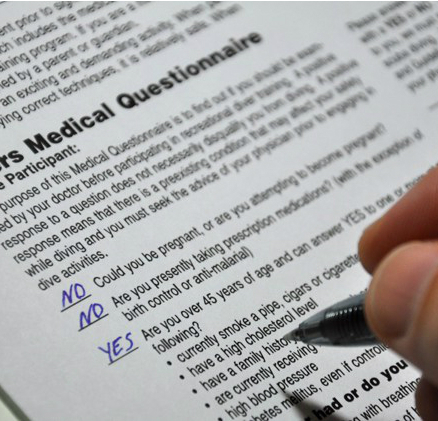 If you answer “YES” to any of the questions listed, the Medical Questionnaire must be completely filled and signed by a physician. You’ll also need to fill out a Certified Liability Release Form. Remember to bring your completed medical questionnaire and the certified diver liability release form to the dive shop. 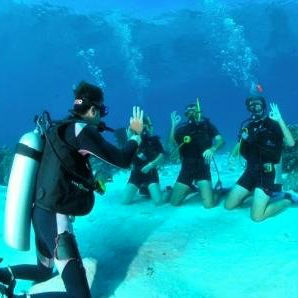 During the course, you will learn about scuba diving equipment and how easy it is to breathe and move around underwater. You will also get to practice a few dive skills in confined water (pool-like conditions) before doing a try dive from the beach. Not to worry, out train PADI professional will keep a close eye on you and be by your side throughout the course. After the short course and try dive, you will have the option of doing a boat dive. This is done under the direct supervision of your PADI Professional and only allows you to dive at a depth of 40ft. You can continue diving with us on other dive trips as a resort diver, or use the credit from the course to get fully PADI Open Water Certified. Pricing includes all diving equipment, Discover Scuba Diving Course, Try Dive, and one boat dive, Lunch , Conservation Fees fees, 12.5% Sales Tax, and PADI Dive Instructor.